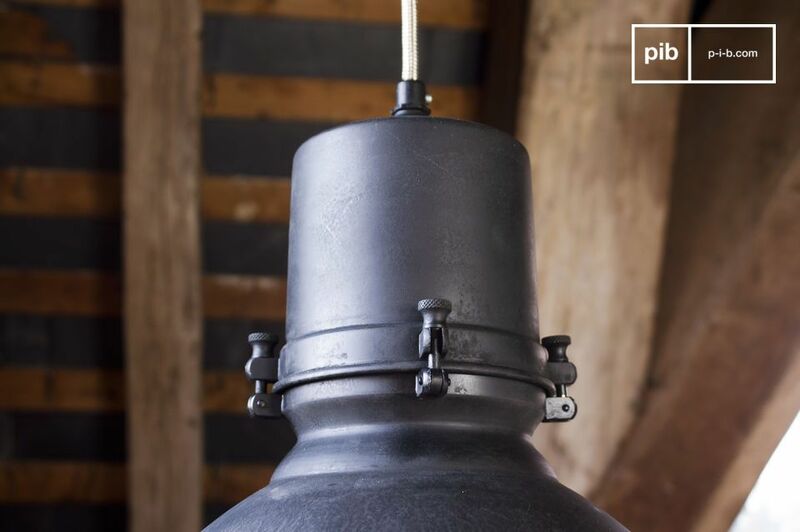 This charming factory pendant light is a unique item that has been designed in a painted metal matt black, which gives it a typical industrial feel. This item would be ideal in the kitchen, your living room or even above your desk to add an original style to your home. 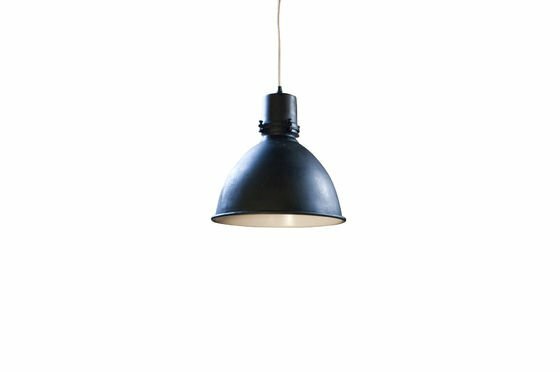 You will find the length of the power cable useful as it is approximately one meter and this can be adjusted depending on the height of your ceiling, as with all of our lights, the items come with a metal cover to place on the ceiling that will conceal the fixtures. 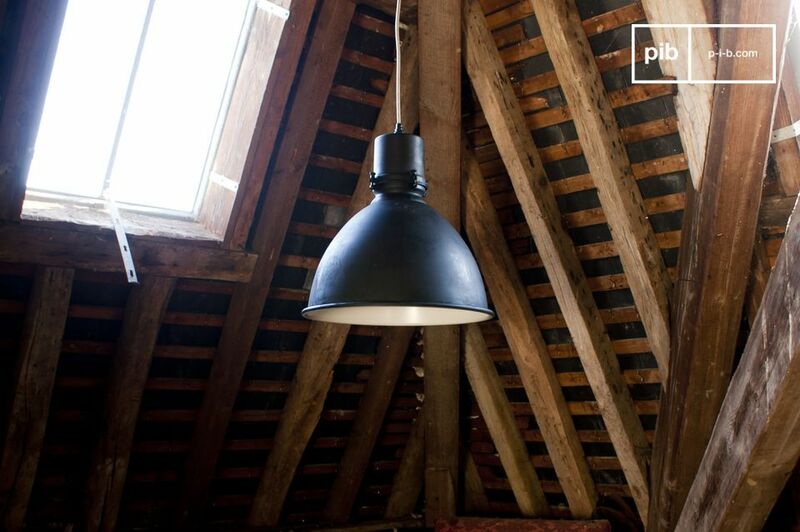 These industrial ceiling lights work with an E27 large screw light bulb. 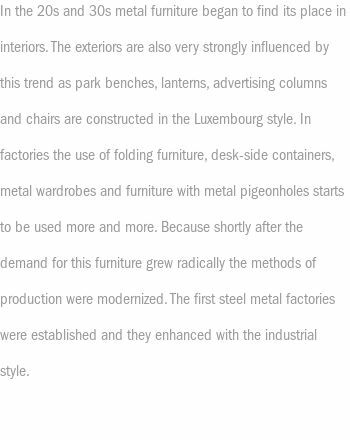 Lamp power: up to 40 Watts.